As, promised Motorola has launched Moto Z2 Force today in India. It packs 5.5-inch Quad HD AMOLED shatterproof display and has a 6.1 mm slim body made of 7,000 series aluminum. It is powered by Snapdragon 835 mobile platform with Android 8.0 (Oreo) out of the box having other features like Fingerprint sensor, water repellent nano-coating and Front-ported loud speaker, 3 Mics. The company has also said that it can charge the phone up 50% in just 20 minutes. 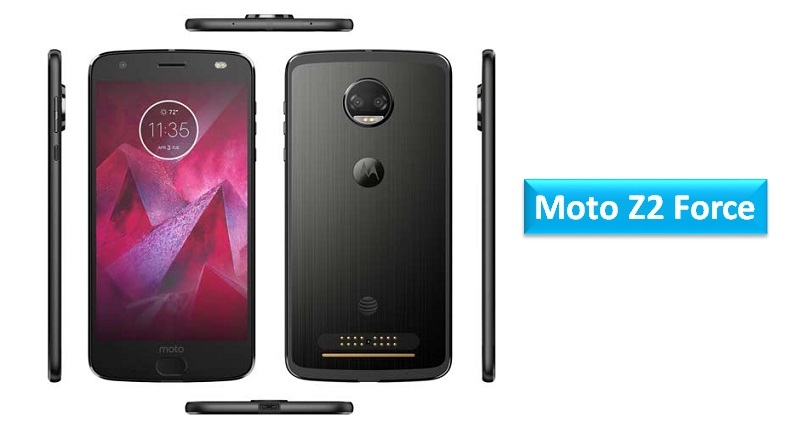 It also comes with Moto TurboPower pack worth Rs. 5999. The company is going to offer warranty against the cracking and shattering of display and embedded lens for 4 years. The mobile sports a 5.5-inch Quad HD AMOLED POLED ShatterShield, shatterproof display at a resolution of 1440 x 2560 pixels. It has 12MP dual rear cameras (monochrome + color) with dual-tone LED flash, Sony IMX386 sensors, ƒ/2.0 aperture, 1.25um pixel size, PDAF, Laser Auto Focus, 4k video recording. On the front side, the mobile has 5MP front-facing camera with dual-tone LED flash, f/2.2 aperture, 85-degree wide-angle lens. The mobile supports 4G VoLTE, WiFi 802.11 ac (2.4 and 5 GHz) MIMO, Bluetooth 4.2 (5.0 enabled after Android O), GPS with GLONASS, NFC, USB Type-C and Dual SIM. The mobile packs 2730mAh battery with Turbo Charging with 76 x 155.8 x 6.1 mm size measurement and Weight is 143g. It has been launched for Rs 34,999 exclusively on Flipkart, starting today’s midnight as well as Moto Hub stores across India with offers like product exchange, assured buyback and No cost EMI. Here are the details for the offers. Share us your views on Moto Z2 Force smartphone in the comments section below.